Meanwhile, in 10-inch nonstick skillet, melt butter over medium-high heat. Cook mushrooms in butter 4 minutes, stirring occasionally, until tender. In large bowl, mix cooked spaghetti, mushrooms, chicken, soup, sour cream and pepper. Pour mixture into baking dish. Sprinkle with cheese. Bake uncovered 55 minutes or until bubbly. 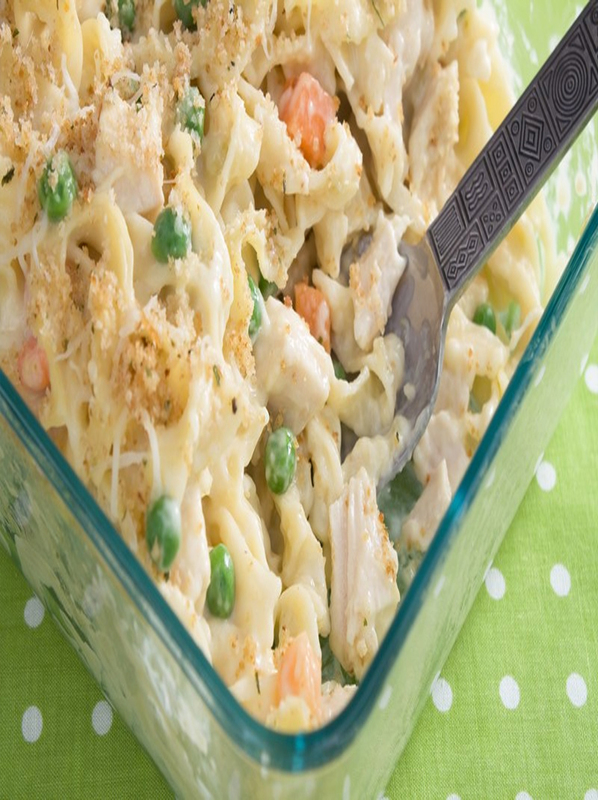 Have You Made This Fantastic Casserole Before? If Sooo We Wanna Hear How Friggen Good It Came Out & How Much You Liked It.